Some days are like no other. You get to see something that explains exactly why you do what you do. On a gorgeous August day this past summer, I was welcomed to the Madden Electronic Arts office to meet with Collin Mackett, an iD alumna, and Madden Gameplay Software Engineer. I met up with Collin to hear all about his journey, his career, his pathway. You may have heard about the iD Tech Pathway on our Facebook and Instagram, and Collin’s story is a perfect example of how each little step can shape an incredible future. A camper, an instructor, a Bethesda Game Intern, and an EA Gameplay Engineer, Collin’s journey to his dream career started at iD Tech. Collin and I spoke about growing up as a gamer kid, his life, and his work at one of the biggest gaming companies in the world. Can you tell us your name and what do you do at EA? 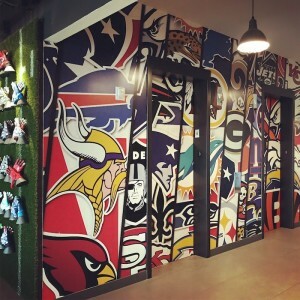 I’m Collin Mackett, a software engineer on the Madden gameplay team at EA Tiburon in Orlando, Florida. I got my start in coding as a camper and instructor at iD Tech. Where and when did you first attend iD Tech? What did you study? I attended iD Tech for two summers at Carnegie Mellon University when I was starting out in high school. I took a course in video game level design the first year I was there, and then the second year I took a course in Unreal Engine 3, which was an awesome experience. As a student it can be tough to see how you use your learning, but looking back, what is iD Tech to you? iD Tech to me is more than a camp; it was a major part along my pathway from starting as a high school student passionate about games, to going to college for computer science, and eventually becoming a game developer in the games industry. My time at iD Tech inspired me to pick computer science as my major in college, which I did for all four years. After that, I knew that I needed even more experience in game programming in particular, so I ended up going to grad school for video game programming as well. When did you join the team at EA? What was your first role with the team? I started as an intern on Madden 16 and have been on the Madden Gameplay team the entire time. We’re responsible for the new football features that come into the game every year and it's been awesome to be a part of that really experienced team. We have some guys who played football in college, we have some guys who were in the NFL. So they're all experts and it's just great to be learning from them and to follow their designs and bring those designs to life through code. What was it like being an instructor? How did it affect your path into games? Being an instructor at iD Tech before going to grad school was a great experience for me. It gave me the opportunity to teach code to middle and high schoolers from the ground up and doing that really helped refresh my foundation in computer science. It got me more prepared for grad school, which was the most intense programming I have done. What do you think is next for coding students in the future? I think as we keep going forward kids are going to taking coding classes the way you would take, say, Spanish or another language. You’re going to be learning this different language, which it really is. It's just learning to speak like a computer. And what’s next for games? What’s the best part of being in this industry? One of the most exciting things about the games industry is just how fast it changes, and how fast it grows. Just in my lifetime alone, I can remember playing on the Nintendo or particularly the Super Nintendo. Think of the graphics back then and what they are now! Now we're getting into 4K and so much more. It's just always exploding in these massive universes you are playing instead of those 2D platformers, which I really still love. I really like being a Gameplay engineer—there’s just something awesome about taking a design from a prototype to trying it out to making it into a full feature. That’s really inspiring to me. In some ways, it’s the biggest part of making a game. It's the back of the box features, it's what people get to play and get their hands on, and to say I worked on that is really great. 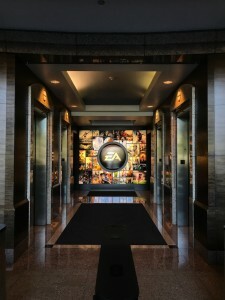 Thanks so much to Collin and his team at EA for being so welcoming. Gaming is an insanely busy industry, and being able to spend time in such an unbelievable office with a team like this is such an honor. What’s incredible about Collin’s pathway is that there was no magic bullet. There is no easy answer to the complex question of how do I get into games or how do I find my own path. It was about those steps, big or small, that he took each moment to discover his passion, pursue it, and make an impact with it. Up for joining me on the tour we took with Collin? Check out the full video and Game Development Pathway here.